I have been visiting my dermatologist for few months and whenever I go to her clinic, I can’t help myself but to stare at her healthy and glowing skin. This feeling leaves me to make a wish that one day; I will get such a beautiful skin and looks. I know that I need to wash face and take care of my skin on routine basis but it seems that my dermatologist has all the top secrets of a glowing and clear skin. Yes, we all can only learn skincare secrets from watching TV shows or reading magazines or browsing internet but these dermatologists live in the world of skin care so they know what they are doing. You might wonder whether my doctor tells me those secrets or not. So, take a deep breath… as I’m going to reveal top 5 dermatology secrets for a glowing, stunning and gorgeous skin. There is a big difference in the skin appearance of those women who use to smoke and take sunbath while those who avoid these things completely. If you are addict to smoking and spend a lot of time outdoors without wearing any sunscreen then you are at high risk of getting more deep wrinkles, creases, fine lines and uneven skin tone. Smoking develops premature wrinkling while sun exposure gives dry, dull skin, uneven skin tone and texture and affects the overall complexion. Make sure to wear broad-spectrum sunscreens that protects against UVA and UVB rays with SPF 30 or higher. You can wear them even in cloudy weather. Apply sunscreen after every 2-3 hours when you are outdoors. Most importantly, take a major step to quit smoking because it adversely affects your appearance and overall health. We know that it is quite difficult to quit this addiction especially without a workable plan. The smoking cessation counseling program greatly helps you to take the first step towards a healthy living. Retinoids reduce various problems of skin and signs of aging. They unplug the pores, reduce acne scarring, improve overall tone and texture, stimulate collagen production and reduce wrinkles, lighten freckles and brown spots. They also help in treating precancerous lesions. Various dermatologists are of the view that Retinoids should be a basic ingredient of any anti-aging cream. They suggest that men and women must use Retinoids in evening at the beginning of their 20s on routine basis. The only side effect of Retinoid is that it can cause redness, flaking and dryness. That is why it is recommended to apply a pea-sized amount of Retinoid at the start after every second or third night helping the skin to adjust the powerful ingredient. In other case, you can also use a cream, gel or serum containing Retinol. Make sure to consult the dermatologist before using Retinoid. Many women buy a wide range of different skin care products and then wonder why their skin isn’t looking great. The overuse of skincare products is the biggest mistake that women do in their skincare regime. There are various ingredients in these products which can be irritating for the skin and they can also cancel out the benefits of each other. For example, salicylic or glycolic acid breaks down retinol, vitamin C and hydroquinone. The simple the skincare products are, the more great results they give to your skin. So, make sure to use simple products such as cleanser, moisturizer, sunscreen and a retinol. Changing the skincare products every week or after few days might be challenging. If one product is changed after every week then it is not possible to check the results of that particular product. No product can show the results within few days. Make sure to give enough time to the product. Finish the entire bottle or tube of any cleanser, moisturizer or sunscreen before you decide about its results. There is an exception, if any redness, swelling or burning appears after using a specific product then immediately stops using it. Add fruits and vegetables in daily diet because they can make the skin looking beautiful and also they give a natural glow which can’t be achieved through creams. Fruits and vegetables contain vitamins, minerals, fibers and antioxidants reducing aging signs and enhance collagen production. Regular sleep for 7-8 hours is essential for a healthy skin. The sleep optimizes natural secretion of human growth hormone that stimulates collagen production. Exercise regularly because it increases blood circulation and flow of nutrients to the skin. Go for activities like yoga and meditation because they can reduce the release of stress hormones which can worsen the conditions of acne, rosacea and eczema. Meditating on regular basis helps to make a treatment more effective. According to a study, people suffering from psoriasis (skin problem) listened to the meditation tapes during their ultraviolet light treatments. These patients healed four times faster than patients who don’t meditate. The bottom line is that follow these simple ways for a great looking skin and consult a skincare specialist for treating any skin problem. If you’re experiencing any type of skin problem or want to get a healthy, glowing skin then visit Laser Klinic experts in New York. We offer variety of skincare treatments, medical spa and cosmetic surgery that gives you alluring looks and attractive appearance. Laser Klinic is cosmetic laser treatment center in New York. One platform for cosmetic laser surgery, cosmetic laser medspa and all laser skin care treatments. How to Reduce Double Chin with Best Kybella Treatment? 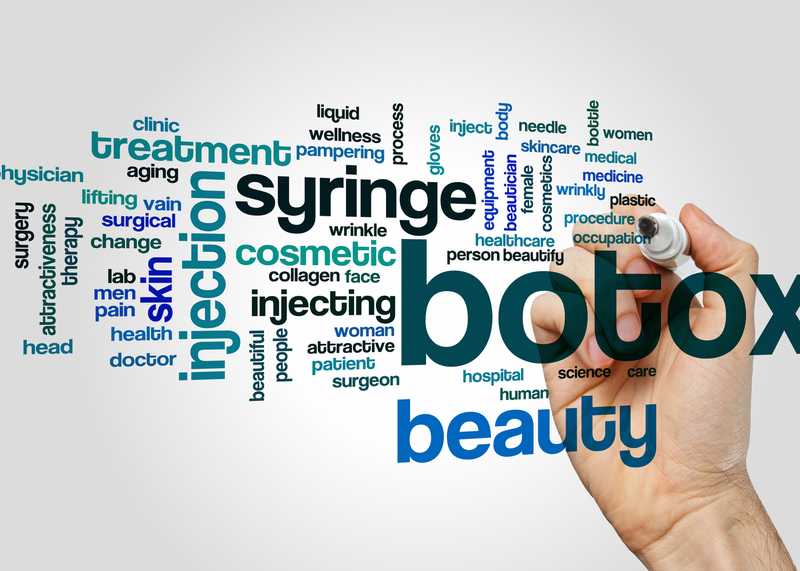 What is the Average Botox Cosmetic Cost in the USA?